How can I fill out a low income housing application? Low income housing is often referred to as Public Housing. Your local PHA has to be accepting application in order to apply for public housing or Section 8. With the Section 8 program, the applicant can choose their own dwelling. With public housing, the applicant will most likely live in an apartment complex that is is owned and operated by the issuing housing authority. Public Housing is actually the official name for what is commonly referred to as low income housing. One can only apply for Low income housing or Public Housing at a housing authority when applications are being accepted. Today, most housing authorities post their applications online to prevent an overwhelming number of applicants from coming to the housing authority. Remember, Section 8 rental assistance allows the applicant to choose their own dwelling, as oppose to living in a specified housing complex. It is always to free to apply for Section 8. Complete a low income housing application with your Online Packet when applications are being accepted. Find out where and how to apply for low income or Public Housing. A Section 8 application is for applicants that want to participate in the Housing Choice Voucher Program, which is probably the most well known rental assistance program for a low income family or individual. The Section 8 housing program is subsidized by HUD and administered by housing authorities nation wide. Applications are always FREE at your local housing authority when applications are being accepted. Section8programs.com has no government affiliation, but does help their clients to find open waiting list, join their Housing List Blog, which is unique to Section8programs.com. What program is a low income housing application for? In general, a low income housing application allows one to be considered for houses and apartments designed especially for an individual or family that cannot at the moment, afford decent, safe housing. These dwellings are often income based. How do I locate and complete a low income housing application? If you are in need of a low rent situation or subsidy, the Section 8 and Subsidized Housing Online Packet can assist you. You will be able to find the right Federal housing programs and learn how to apply for them, as well as affordable housing. The Section 8 and Subsidized Housing Online Packet is merely a tool used to be kept apprised of open Section 8 waiting lists and locate offices to apply for Food Stamps or Social Security Benefits. Is a low income housing application the same as affordable housing application? Sometimes the terminology used to describe low income housing and other programs like it can be a little confusing. Low income housing in some cases are federal housing subsidy programs meant to help a low income family or individual. You may have heard of low income housing rental assistance, low rent housing, or affordable housing. These are terms that people use to describe the kind of housing they are looking for if they are in need of a low rent situation. In general, affordable housing application programs provide houses and low rent apartments designed especially for families with who cannot afford safe, decent housing nation wide. How do I find this type of housing? If you are in need of a low rent situation or subsidy, the Section 8 and Subsidized Housing Online Packet can assist you. You will be able to find the right federal housing programs and learn how to apply for them. The online packet can assist you in finding local independent land lords that have rents you may be able to afford. 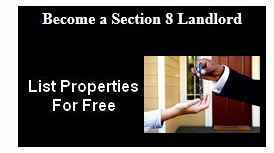 We also have a Housing List Blog where Section 8 landlords and tenants can find each other for free. Potential tenants can locate a Section 8 housing application or complete an application for various grant programs online. Listings for affordable housing in their area is also made available. The Online Packet can teach one about other lesser known government rental assistance programs and how, where and when to apply. Contact you local Housing Authority and find out if they are accepting for a Section 8 application or low income housing. The Section 8 Housing Voucher Program is a government Section 8 rental assistance program for New York or any state in the United State. Find Housing Authorities nation wide that are accepting Section 8 and Public Housing applications online in major cities like Raleigh, North Carolina. Apply for Food Stamps or TANF. This program helps a low income family buy food each month. The Food Stamp program is offered in North Dakota or anywhere in the United States. The Public Housing program is often referred to as low income housing, and is sanctioned by the Federal Government. This is a rental assistance program for Cleveland, Ohio or anywhere in the U.S.
Funding from HUD is available in Oklahoma. Non-profits will offer free legal support to tenants, emergency funds to pay rent to stop an eviction, as well as security deposits for a new low income home or apartment. Section 8 or otherwise. Adults over 55 years of age, the elderly, and senior citizens can receive assistance. Rhode Island programs can help with medical care and bills, food, prescriptions, and other needs specific to seniors. Financial aid can help low income individuals with needs such as housing, food, or utilities. Several departments coordinate home care, vocational training, and offer respite services as well for South Carolina. A number of community action agencies can help low income families and people faced with a crisis. Counselors can help them look for jobs, apply for grants for paying bills, and offer other support in South Dakota. Low income and Public Housing units are managed by a Housing Authority. They come in a range of bedroom sizes. Most are located in apartment buildings, but some are located in smaller, multi-family buildings. Households in this program earn 80 percent of area median income or less to qualify, and typically pay 30 percent of monthly income for rent and utilities. The program has site-specific waiting lists. Applicants can add their names to the Section 8 waiting list for one or two buildings of their choice. Please note that the eligibility requirements and application procedures for to complete a low Income housing application or one for Public Housing are different than those of other programs. Eligibility Information on program income limits, how to qualify as a family, and how general suitability, rental history, criminal history, and immigration status affect eligibility. A map and list of low income or Public Housing properties, and information about the types of apartments offered, parking, nearby bus routes, and the surrounding neighborhood. Applying to this program has four steps: submitting a pre-application, joining the waiting list, submitting a full section 8 application, and having your application approved or denied. Online Pre-Application Seattle Housing Authority's online low income housing application allows you to apply for section 8 and low income programs with open waiting lists. Low income apartments cost less than similar apartments for rent. They require tenants to meet age and income guidelines. Income from assets (savings, annuities, investments, spousal support, etc.) is counted as income. Subsidized Apartments Renters pay 30 percent of their monthly income for rent and utilities. Require individuals to meet moderate- to low-income guidelines. Income from assets (savings, annuities, investments, spousal support, etc.) is counted as income. Contact individual apartments for current guidelines, openings & waiting lists. Note that prices and eligibility periodically change. Each state has somewhere between 4 to 10 housing authorities. Just because one is closed, others may be accepting applications for section 8 or low income housing. Each PHA has their own preferences when it comes to accepting applicants from out of town. Section8programs.com makes applicants aware that they can be on several different waiting list at once. Everyone knows how to apply for section 8, but few are able to locate PHA's that are accepting applications. Section8programs.com is a private company that helps people to locate an affordable housing application online. Housing authorities and PHAs, (public housing agencies) are basically the same thing. One can only apply for Section 8 government rental assistance through such agencies according to their preferences. For example, some housing authorities only allow residents of that particular city to apply. Other housing authorities will accept applications from different cities or states. Your local PHA can allow you to complete a low income housing application form and help you calculate how much you need to budget for each month. Say, for example, your monthly income is $1,000. You would pay $300, even if the rent of the unit is $1,000. The maximum voucher issued by the PHA is $2,200 per month. Read more about how to fill out a low income housing application online.